Individual biscuit in cello bag. 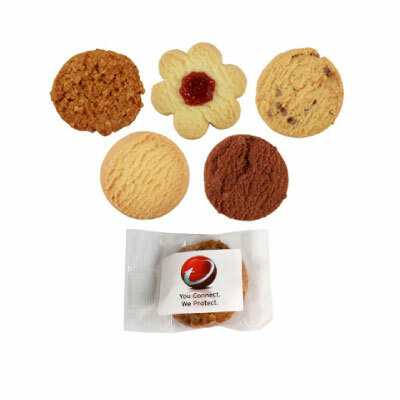 Perfect for conferences, snacks for clients or to keep on the front counter to give away. Tins filled with biscuits are also available. Please contact us for a quote and more information. Prices include all set up costs. GST is additional. Prices are based on decoration as specified above. Delivery if required, is extra and charged at cost. Larger quantities are available, please contact us for our best prices. Above prices assume artwork will be supplied in correct format.